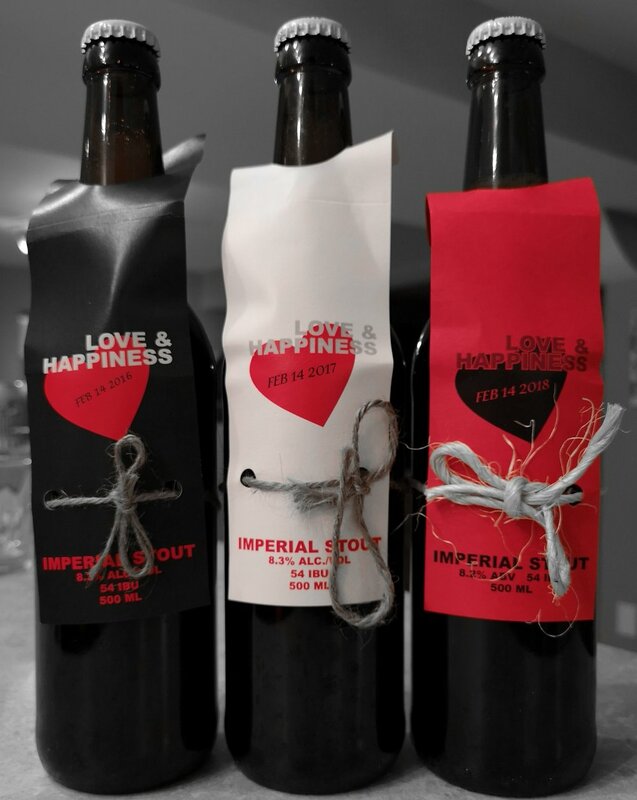 Last night, we enjoyed a vertical tasting of Sleeping Giant's "Love & Happiness" Imperial stout, 2016-2018. For those of you that are unfamiliar with the term, a vertical tasting is devoted to a series of beers from different vintages, but the same style. They were all poured into the same style glass at 8°C. All three had the same appearance, very similar carbonation level, a medium body, and hid their alcohol content exceptionally well. Overall, it was great to experience the significant differences between each vintage, with each one being delicious in its own way. Our favorite was the 2016 version. Have you conducted a vertical tasting recently? What was it and how did you like it? let us know in the comments below.